Weekend reading: Are buy-to-let landlords terrible people? One reason I found it pretty easy to rent for so long is that I’ve always done very well for landlords. My last landlord in particular was a star. He sensibly recognized that his initially fully refurbished property was kept in good shape for the many years we rented it. By the end we mostly chatted over email rather than going through the agents. The rent, which was high-ish when I first moved in, was only raised once in a decade. He was also flexible in moving me to a one-month rolling contract when I started looking for somewhere to buy after my housemate bought a property and moved on. And when I completed rather out of the blue and moved, he just let me pay to the end of that month instead of asking me to pay the next month as he was entitled to given the lack of notice, which saved me (and cost him) £1,750. I was therefore pretty sympathetic to the post at My Deliberate Life defending amateur landlords against some nasty accusations in The Guardian. I’m not trying to make out like I’m some kind of saint. Obviously I’m in it for the money and it does give a good return. And a lot of these services I’m legally required to provide and rightly so. But don’t paint me as some kind of demon, or parasite, or ‘feudal incubi’ (whatever that is). I am not any of those things. The very long post is well worth a read for a pretty balanced recap of the state of the UK housing market. Personally I think the scales were tipped in favour of buy-to-let landlords for far too long, and that combined with very low interest rates this has taken a generational wealth gap to dangerous levels. The recent tax changes seem to be addressing this. But in my experience the average buy-to-let landlord is no more a social parasite than an investor in an index tracker funds. 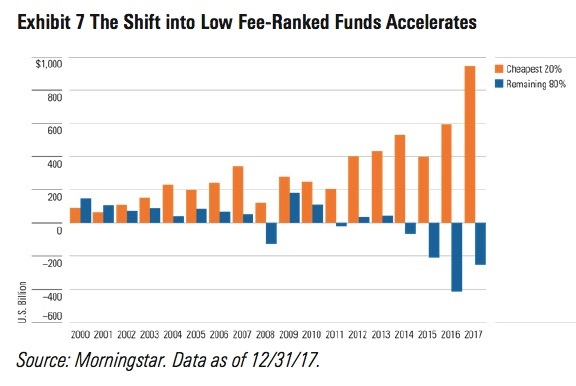 Most US investors are now in lower fee funds. 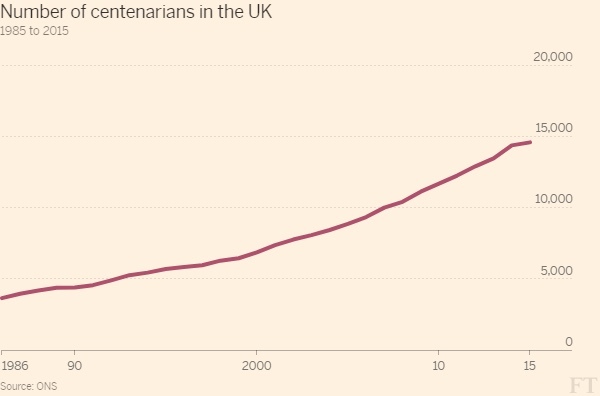 Weekend reading: Should inheritance tax be 100%? I remember that quote by Rosling from his Don’t Panic documentary. In it he joked about wanting to live into his 90s so he could read annual statistical reports just a while longer. I’m not entirely on board with his message that we’re all over-worrying about the population growth. I think there’s a reason why China has been buying up land in Africa that either is our could be agricultural, and I don’t like that reason. Feeding 12 billion people in the age of rising seas as the sixth mass extinction gathers pace isn’t going to be an easy task. And let’s face it, our track record for staying calm and resisting populism in the face of uncertainty is not exactly stellar. Extroverted, conscientious and disagreeable forty-somethings earn more…. true click-bait for a forty-something. Interestingly, the article – written by a female assistant professor – describes a study that only looks at men’s careers, not women’s. The title is misleading. The data she used had in fact covered men and women, with a high IQ “top 0.5%”. But she goes on to say, “I focus here on the results for men…because women’s professional opportunities in this cohort were so limited”. When your emergence fund cash call comes – emergency? I think your experience with landlords would be completely different if your income was in the bottom decile. The Thriva link doesn’t seem to apply a discount, not on mobile browser anyway. The URL for your link includes discount_code=OBCZZZ so i tried OBCZZZ in the discount code at checkout. It said it was invalid. So i switched the O (letter) for 0 (zero) and it worked. So either the link doesn’t work, the discount code is wrong or maybe both. Anyway, I’ve been thinking of doing a health check for a while (no point being FI if I’m unhealthy by the time i get there) so thanks for the discount and the prompt to do something about it! Having been a renter and a landlord I’ve seen both sides of the coin. I’ve been lucky with some landlords who have respected the care we take of property and rewarded it, but I definitely think this is a minority. Others have taken minimal care of the property as long as we’re still paying renr. In my opinion it depends entirely on the housing stock. I blogged last week about changes to taxation and lettings laws, and any small portfolio landlords may want to check the new legislation. The tide of government is definitely changing against BTL landlords! You’ve been lucky with your last landlord. I’ve only had one reasonable experience with my first landlord. The rest either didn’t do necessary repairs to the property, put the rent up by 10%+ after 6 months or decided to sell the property while I was still living there. I disagree that landlords can be equated to investors in tracker funds, as housing is a necessity for everybody, and it is in short supply due to planning restrictions. You have to make the distinction of BTL run for capital growth (London and SE UK basically) and BTL run for yield (everywhere else in the UK basically). In terms of BTL for capital growth, when your BTL house in London was making you GBP 50-100k a year paper gross profit in capital appreciation, who cared about maximizing the yield? I think it’s fair comment that my experience with landlords definitely improved as I went up the income ladder. It was by far the worst when I was a student. 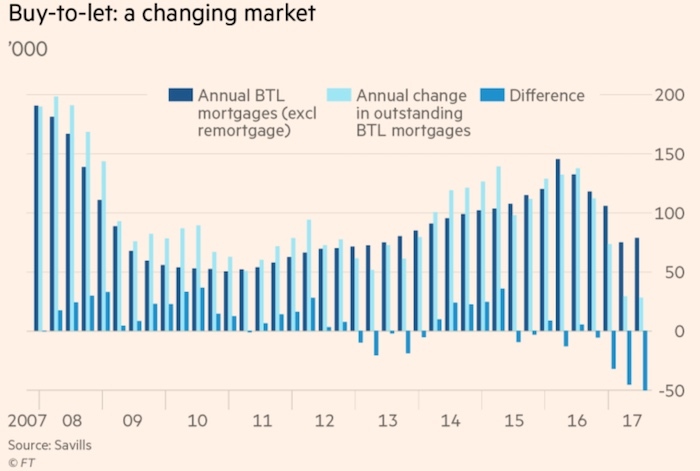 That was also just before the BTL boom, which was partly stoked by the Government of the day as a way to bring new capital/entrants into the private rental business to help improve things, so a few factors at work. But I’d agree, the latter landlords with the more expensive (though not for London) properties were superior. And surely some luck. If you can get the blood out of your finger, then Thriva is excellent in my experience. The blood extraction part is the tricky bit, and I have one friend who threw in the towel. I’ve found it helps to go very close to the edge of your finger (closer than suggested in the instructions) as more centrally the skin appears to be thicker and less blood-infused. I had a similar experience, student rental (in London) was (at times) a very unpleasant experience. A lot of it also came down to whether there was a letting agent involved. Some agents were good. Others were really con-artists – doing almost nothing for their percentage cut. I read about the need for more long-term tenancy rights and would support that, assuming it came with reasonable rights for landlords too. I have BTL and it’s ideal if a tenant wants to stay indefinitely. But in my experience it’s the tenants that amicably break the tenancy due to work, personal circumstances, or because they are getting on the housing ladder themselves. Two tenants have purchased locally, one in the same street so we remain in touch. I am very, very, aware of the good fortune that I could take the chance and was able to BTL when it was easier. Being self employed with nothing other than the State Pension to rely on, BTL means I am not 100% in S&S. When considering drawdown, the prospect of a bad SORR is far less worrying with a BTL by then mortgage free. I genuinely sympathise with the generation that is priced out of the property market, and for those of that generation who do manage to start saving and investing, or aspire to FIRE. For them the result of policy to make BTL a less attractive investment means that they will not be able to diversify away from S&S so easily. A total reliance on S&S may be good for the boys in the City though, and the wealthy will continue to include rental property in their portfolios anyway. The article about ‘The true reason you want the iphone’ made me laugh because of the old joke about why the iphone saves you money: every time they bring out a new one, I don’t buy it and save loads of cash. I will be holding on to my btl properties for dear life . It is part of my retirement planning, having only started a workplace pension 2 years ago at aged 38; my saving grace was the purchase of a few London properties some years earlier. Those properties ,more than doubled in price despite recent slow down. I was too lazy and too mean to jump on the BTL bandwagon: struggle to maintain my own house and prefer money in a form I can easily count. My wife reminds me of a conversation we had in 2000 ( what a memory) in which she mooted the idea and the co-inhabiting investing genius said house prices were already too high and we had missed the boat. I imagine the biggest problem is amateur landlords who are reluctant to spend the time and money to do the job right. Politicians seem always on the look out for an angle by which they can dress up what they want to do with some form of moral righteousness. So IHT reform can be sold as addressing intergenerational fairness, whatever fairness means to you or me, pensions ditto, and if you view landlords as opportunistic rentiers, taxes on housing – CGT and council tax. When governments view money as tight, need to be wary of any large non-moving targets in which returns are particularly dependent on tax treatment. @TI how is Thriva making you healthier? Could be a good off the beaten track article? Ah you have a target based on some blood value? That’s very interesting. My guess would be it’s cholesterol related? I get reasonably regular blood tests via the GP. I have Gilbert syndrome so my billirubin levels are through the roof. I enjoy getting the haematocrit data as well and comparing it to the pro cyclists doped up to their eyeballs. It’s all fascinating stuff. BTL is a funny old game. It’s full of those who beleive they are super savvy business people for doing BTL. Yet a leveraged play in a near 40 yr rising market is one thing. How many have known what happens if you’re in a levered position in a declining market? I suspect many haven’t a clue. Anyway, that scenario will never happen, of course. I thought the report from the Institute and Faculty of Actuaries highly disingenuous. From Hargreaves Landsdown best buy annuity tables https://www.hl.co.uk/pensions/annuities/annuity-best-buy-rates, a Single life, level, 5-year guarantee annuity could be purchased for £100,000 and return £5,455 p.a. But to compare apples with apples, the annuity need to be compared with an RPI adjusted 100% joint life annuity (£100,000 in a SIPP, withdrawals adjusted for inflation, passing to spouse on death). HL’s table doesn’t even go there. The best is a Joint life 50%, 3% escalation, no guarantee, at £3,272 p.a. – presumably the properly comparable annuity would return far less. This report could be flashed out by annuity salesmen, but any customer with little or no financial knowledge is likely to be misled as a result. I have no doubt that an annuity can have a place in a retirement plan, but this isn’t it. I own a BTL with no mortgage. I bought it as a diversifier from S&S a number of years ago. I always felt slightly uncomfortable at the idea a tenant can be given notice in a heartbeat should it suit me. Me who has the good fortune to have worked hard, had a bit of luck and now owns an investment property plus my family home. I also went into it thinking I would behave in the way I would want my own landlord to behave – if I still rented as I did in my younger years. When there were repairs due I authorised them immediately, and if there was a cheap option or an expensive option, I would pick the expensive one. Partly because I like to think I’m a decent bloke, and partly because it maintains the property value (and you get tax relief on repairs). I used to even chase the agent to ensure repairs were done promptly. Over the years i have had late rent, showers break, bathroom tiles mysteriously break, cupboard doors fall off (apparently), bedroom wardrobes “break” sheds “fall over” and so on. I spend much more maintaining the small rental property than I do my family home, where strangely hardly anything gets broken. I have heard so many lies and half-truths from tenants that my attitude had hardened considerably. This is despite the tenants passing all the checks, and being dual employed nuclear family types with decent cars etc etc. My initial ambition to provide a nice home in exchange for a market rent, with prompt repairs and happy tenants and general goodwill all around the place has proved to be naïve. Now I probably do the bare minimum because doing the absolute maximum generated no better treatment of the property and no better tenant behaviour – by tenant behaviour I mean simply not breaking windows and paying the rent on time. Cest la vie – but it does mean that I now fully understand it’s simply a commercial relationship. It’s made good money over the years and appreciated in value. It would make sense to keep it but when I give up work I will sell the place to the highest bidder. The proceeds will go into ISAs over the years. It can either be bought by some happy young couple or the next Rachman. I wouldn’t care anymore. By all means hate the game(s), but make damn sure you learn how to play the game(s) well even if you think the game(s) are wrong. The general consensus from the landlords posting seems to be variants of “BTL is in my benefit therefore everything is fine”. You then shouldn’t be surprised when the people who rent from you vote for a socialist government because its in their interests and you suffer. There are a lot more of them than there are of you. There is a big difference in investing in businesses which can actually increase overall wealth (albeit too much gets captured by the executive suite) and investing in land which is merely exploitative. What happened after was the 1909 People’s Budget which imposed heard of taxes on the increase in value of land to fund the beginning of the UK welfare system. @SurreyBoy With my BTL I make the property to a standard I would be happy to live in. That still means practical, but spending a bit extra on nice touches and comfort. Most of my tenants have been very good, some great. But not all. As you say, with some tenants breakages seem to occur at a rate and of a nature I cannot fathom; how exactly do fridge doors just come off their hinges? One particularly dispiriting episode was the first tenant to occupy after totally rennovating and newly furnishing. After 6 months the tenant stopped paying the rent and it had been wrecked. So yes, it happens. But I still make my BTL somewhere fit to be a nice home. On the subject of yield v capital appreciation. Whether you are in the accumulation or drawdown phase can make a difference to the priority. Assuming no mortgage by drawdown, then I am satisfied with a 3% net income yield on asset value. I consider 3-3.5% SWR as realistic for S&S. If I was to sell the BTL and invest the proceeds in S&S, that would be the income I would withdraw. But BTL provides same income but shielded from SORR. I did my first Thriva test last year, a day after a big social/alcoholic weekend. All my results were in the healthy/green region apart from one. I’m doing it again to see if no alcohol in the system makes any difference! I became a BTL landlord thanks to the 1990s housing market crash. Most of it hassle free, save the last tenant who was a complete disaster. However, that was not the reason we sold. As we moved to a new house and I am aiming to retire soon, the prospect of having 70%+ of our net worth in property simply made no sense. Capital and yield returns had been good through the 2000s but a downturn in rental yield or another housing market crash could potentially put our main residence at risk if we were over dependent on property income. So, the rental was sold, the money being used to max out the pension annual allowance and ISA allowances. A few years later, thanks in no small part to HMRC, that decision seems to have been the right one and I feel we are much better diversified with an asset allocation that sits better with my risk tolerance. There is a postscript to this. Around a year after we sold the rental flat, there was a gas explosion from a portable storage heater being used in an adjacent flat. It took out nearly half the building. Had we still been landlords we would have been responsible for re-housing our tenants let alone the admin of insurance claims. > How many have known what happens if you’re in a levered position in a declining market? I suspect many haven’t a clue. I know what that is like. because I was stupid enough to buy a house in 1989. Twenty long years later, I broke roughly even on what would have happened if I had rented. Though there is a quality of life issue here too, my experience of renting was as a student. BTL landlords have always been vile at the bottom end, 40 years ago they were just as bad. One of mine ran a power shower off the lighting circuit, until the 5A twin and earth melted, so we had no upstairs lights after that. Gas safety was unknown. At least renting the money off a bank meant this sort of crap was my own damn fault. It will be interesting if BTL landlords experience the joys of negative equity. I did it as an owner-occupier early in life, so I had a working life to come back from the misallocation of capital. “My BTL is my pension” may have a different ring in the years to come, let’s hope some of the massive profits from the good times ended up in the bank rather than the kids’ school fees and holidays in Sardinia, eh? I wasn’t aware the Landlord would be reponsible for rehousing in the event of fire/flood (and not the landlord’s vault). Are you sure? If property price crash . I would be buying up a few more BTL. I am pretty sure the big boys would buy up homes that are repossessed and rent them back out to the previous owners. A property price crash will also affect people with normal residential mortgages. If BTL landlord goes into negative equity it also means normal homeowners will also be negative equity . It’s the same housing markets for BTL landlord and residential. Sure, a declining market effects all players. But the BTL guys have enjoyed the benefits of leverage only one-way in the past 20 years. So for every 1% increase in house prices they get say 4% return on their equity investment. Great … what’s not to like about that!! But in a declining market, every 1% falls sees them losing 4% of their cash. Ouch. It’s not like a dull FTSE tracker ….. but rather one of those 3x or 4x leveraged ETFs that come with a great big health warning before you buy. If I don’t fancy one of those becuase they’re too risky, why would I do BTL? @Boltt If memory serves, depends on the detail of the letting agreement you have with the tenants and good insurance will cover. In the early 90s, I was not only in negative equity with the flat I eventually rented out, but technically bankrupt in terms of total assets, i.e. I owed more on the mortgage (an interest only one, with what turned out to be a pitiful endowment policy) than the combined assets of the flat and my savings were worth. All down to a <25% drop in the value of the property. Thanks for the links, TI. I continue to find it odd that we debate ownership of housing on a moral basis rather that the actual societal good — occupancy of housing. That said, I have enormous sympathy for people who live in a nice place and don’t want to see if suddenly changed. They should be more careful about who they elect. There’s a few posts on SWR, but in particular, I wanted to leave some notes on YoungFIGuy’s comments in his “Inconvenient Truth” post. There are many inconvenient truths about SWRs, sadly they don’t appear in that article. I could go on about the errors in it, but I got what I paid for in reading this post – caveat lector. Ultimately it reads like someone who doesn’t really understand the theory, trying to get to grip with the maths and failing. I commend it to others as an exercise in spotting the obvious cognitive and mathematical traps that he’s fallen into. Hopefully one day he’ll find himself sitting with a large pile of money and asking what he needs to do to make it last until he dies. Something that really sharpens up the practical application of SWR theory and the idea of throwing your hands up in the air and saying “we can’t know” just doesn’t cut it when asking if you can afford Lidl or Fortums this month. Thanks. I will check my insurance and tenancy agreements. Re: BTL – aren’t the mortgages on most BTL mostly interest only? So you’re not Buying to Let, but Leasing to Let? Yo8u’ll never own it unless you pay off the capital via another method. And aren’t BTL mortgages in effect commercial mortgages? So that if your equity falls below a certain percentage, they can require you to put more equity in? Nasty in a housing crash and pro-cyclical. 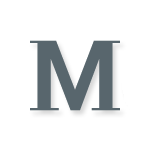 @Mathmo – Thanks for the personal insults. You sure took time to lay in to me, but are unwilling to share any of the errors or ‘obvious’ traps in my post? I’d like to hear them – I’m always open to learning. If you were unable to take any practical applications away from my post, then I’d suggest re-reading. Along the way I set out may ways users can improve their use of SWRs. The conclusion of my article sets out specific recommendations about what you can do. Neverland makes a good point about landlords. I agree with your division between yield and capital growth motivations for landlords and the effect on behaviour. I am one of the latter. I emigrated from the UK around 12 years ago and rented out my London property. I can’t cope with high maintenance tenants from abroad so my strategy has been to minimise problems by setting the rent at below market rates to give me the pick of good quality long term tenants. I promptly get any repairs and maintenance done. This has worked well as I have long term tenants who keep the property on better condition than when I lived in it and never make unreasonable demands. I have effectively purchased this peace of mind through rental income foregone. It is not great as an income generating investment though. A good friend has ex council estate flats he lets out to students up north. He sees no capital growth but gets the same rents as I do almost for a property worth a quarter the value of my flat. However his btl flats are VERY troublesome and a full time job. Absolutely correct, three million of us did in the 1990s, just before the WWW started which is why this never happened according to people who rely on the Internet for their history. A homeowner can sweat it out if they keep their job and keep paying the mortgage and haven’t tried to be clever with serial short-term fixes. After many years the cycle turns. A BTL ‘investor’ in such negative equity will hopefully be marked to market by one of the financial stakeholders in his enterprise sooner than that. And part of my point is that it took roughly twenty years for me to break even on that error, housing market cycles are very slow compared to stock market cycles. 20 years is a large part of your retirement to hope the market turns up again. As an employee I had a rising salary to pour down the toilet of property negative equity so I could hold my own. A retiree doesn’t have that income from work to compensate for their lack of diversification within and across asset classes. There are both good & bad landlords as there are tenants, nobody can dispute that ….. but the injustice lies in the massive disparity in penalties for that bad behaviour between the 2. I’m currently both, so know what you can experience from both lenses & landlords will always find another desperate tenant while writing off losses against their taxes as well as having various ways to shake tenants they don’t like. Tenants who’ve trashed a place then run for it say, now have no reference, possible legal issues, moving costs, a new deposit requirement & what’s not immediately obvious, a credit score problem that could haunt them forever in myriad ways …..so any which way you cut it, that’s a much more serious risk to take. 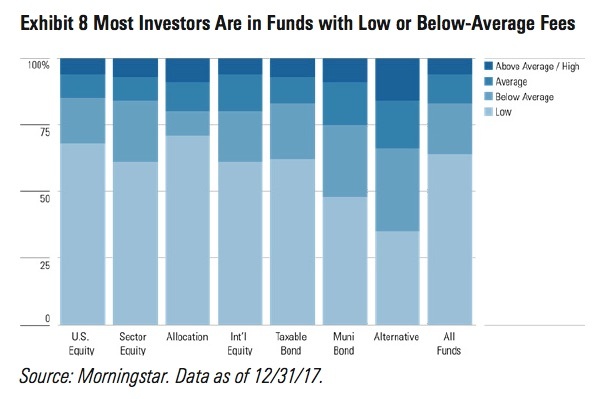 It seems us ‘old stagers’ are sometimes accused on folklore when talking about negative equity! I bought a brand-new house in Southwater, just outside Horsham in West Sussex in 1987 (a mid-terrace with integral garage) and paid £67,000 if I remember rightly. Had an interest-only mortgage linked to some low-cost endowments. Not long after, the ‘Great Storm’ hit but my house wasn’t damaged. In February 1989 a chap knocked on our door and offered us £99,000 cash for the house! In October 1990, due to a job relocation, the house was sold for £66,600 or thereabouts. The next house, in Kent, was bought six months or so later for £75,000 or so. In 1992 the next house was sold (after a divorce) for £68,000. The endowments were worth very little and all I had left after 7 years in the housing market (there were two previous properties) and the policies were cashed in was £56.62, net! Relationships changed, very much for the better, and I re-entered the property market in 1998, but always remember evaporating equity vividly! “A homeowner can sweat it out if they keep their job and keep paying the mortgage and haven’t tried to be clever with serial short-term fixes.” Or, as happened to a friend of mine, if she had only avoided divorce/house sale/ruin. That’s “ruin” in the sense that all her capital had gone; she didn’t actually need to declare bankruptcy. As the Daily Mail would have said, she had lost her life savings. And as is so often the case, the Daily Mail would have been floridly dramatic while nevertheless getting the essentials right. Took me 14 years to “sweat it out”. On the positive side, this all happened when I was in my 30s and early 40s and taught me a bunch of valuable lessons about personal financial management from the impact of fees on cruddy endowment policies to asset allocation and the risks of too many eggs in the property basket. If you’re going to learn lessons, best do it young when you’ve time to earn your way out. @Mathmo – are the mathematical errors tricky to point out, i.e. would require a lot of effort to put into words? If so then fair enough, otherwise that’s a bit trolly which isn’t your normal style? If you’re going to learn lessons, best do it young when you’ve time to earn your way out. What keeps me awake at night is the Rumsfeldian unknown unknown, the excessive risk I am taking that I don’t know. @hariseldon – I believe that the evidence suggests that if the goal is to maximise wealth, and leave a bequest, then an annuity is not the best solution. I understand that you are in the fortunate position of having far more wealth than you are likely to spend in your lifetime. In that situation (which is likely to be my outcome too), I’d probably aim to annuitise around age 70-75 and then set to, distributing my surplus wealth in the best way I saw fit. Nice situation, but not where the sharp end of retirement problems lies! 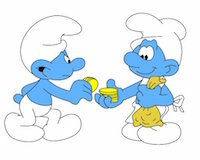 Next post: Annuities: What’s so bad about a guaranteed income for life?